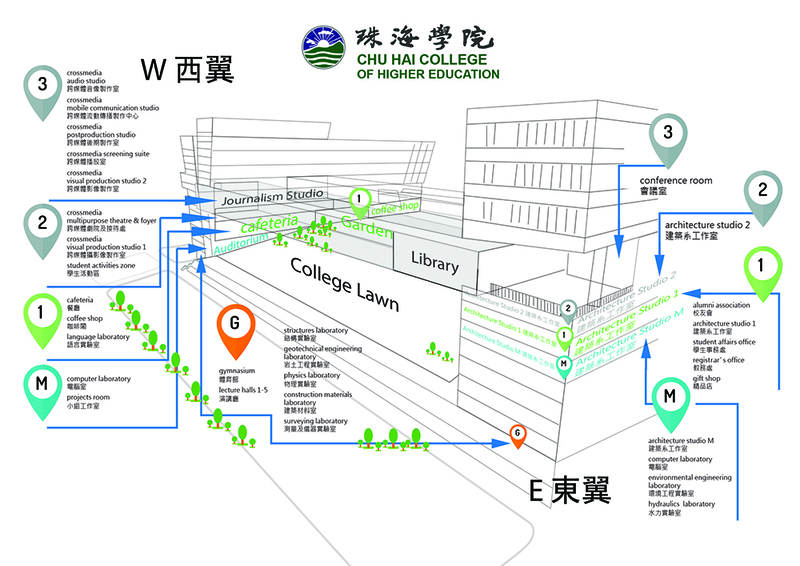 Since 1 September 2016, the College has been operating on its all-new campus at the idyllic Gold Coast near Tuen Mun. Against the backdrop of the rolling green hills of the Tai Lam Countrypark, its iconic buildings are blessed with fine views of the picturesque Marine Park and Castle Peak Bay. The new campus is built to the highest standards to meet the needs of a modern university. Endowed with state-of-the-art facilities, it provides a perfect environment for teaching, studying and research. 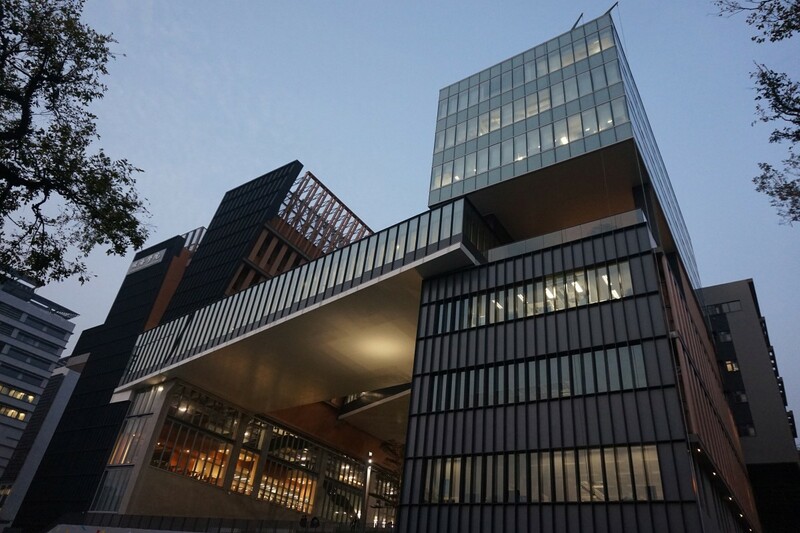 In addition to fully equipped classrooms and auditoria, the campus features specialistic facilities such as crossmedia visual production studio, architecture studios, civil engineering laboratories, language laboratory and computer centres. Additionally, it provides a full range of supporting facilities such as library, indoor gymnasium, cafeteria, café as well as student dormitory and staff quarters. The new campus is the epitome of our commitment to quality tertiary education to serve the community. We are excited to announce that our campus was awarded "Medal of the Year of Hong Kong" in Hong Kong Institute of Architects (HKIA) Annual Award 2016/17! 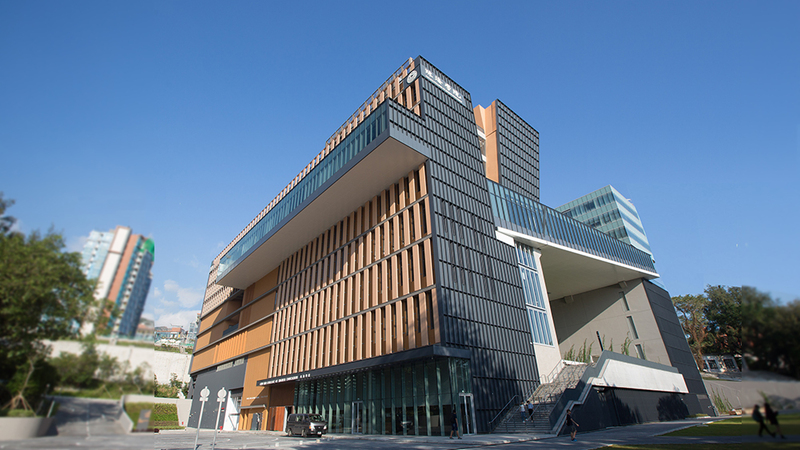 “Project of the Year”, "Winner in Project Management Achievement Award in Construction category, Community Service/ Regional Development category and Construction Engineering category", by the Hong Kong Institute of Project Management (HKIPM), "Winner of Construction Project Team of the Year 2017” by Royal Institute of Chartered Surveyors (RICS), our campus has received 5 awards altogether. Some figure about our College.